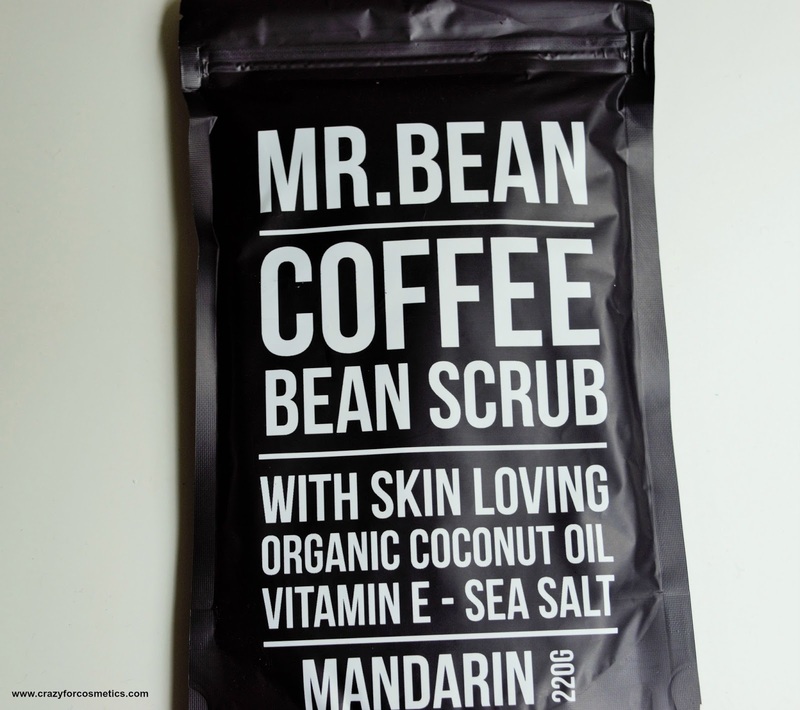 Organic Coffee Scrub with Robusta Coffee Beans, Organic Cold Pressed Coconut Oil, Himalayan pink rock salt, Demerara Sugar, Organic Cocoa and Vitamin E oil. • Caffeine will stimulate blood flow and help reduce the appearance of cellulite, eczema, stretch marks, age spots, varicose veins, and psoriasis. 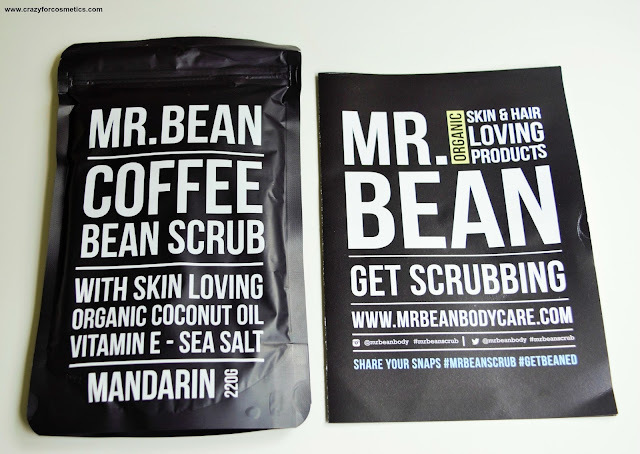 The coffee scrub from Mr.Bean combines several ingredients that work wonders for your skin such as Coconut Oil, Sea Salt, Cocoa and Vitamin E oil.Anti-oxidant rich Cocoa has several benefits like stimulating blood flow,reduction of cellulite, and tightening the skin.The body scrub came neatly packed in a resealable package placed in a cardboard box with a small note about the product and its usage. 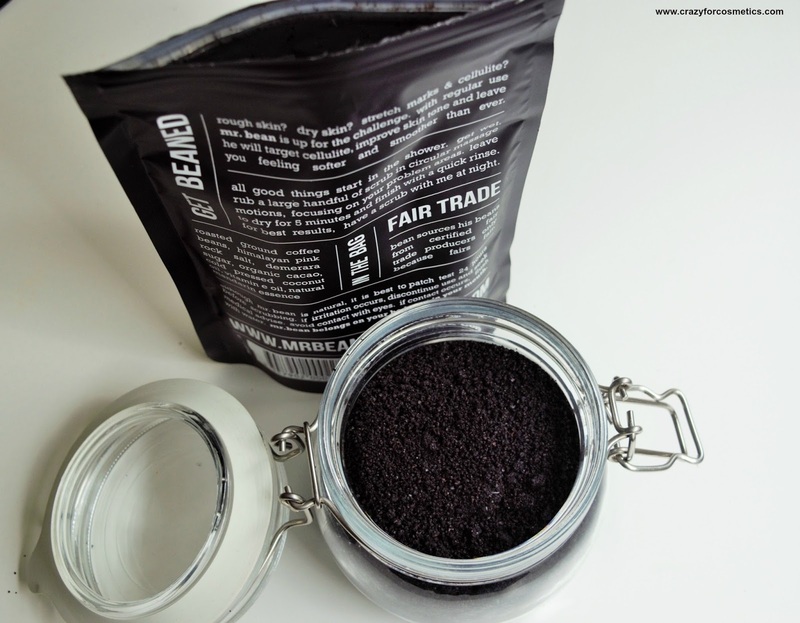 I, however, transferred the contents to a mason jar and just take the desired quantity when I want to use it to prevent any moisture from spoiling the scrub. The scrub is a coarse powdery one that looks like an instant coffee powder and smells like dark chocolate to me. Though the texture is quite powdery, it is quite easy to blend and scrub when mixed with water. 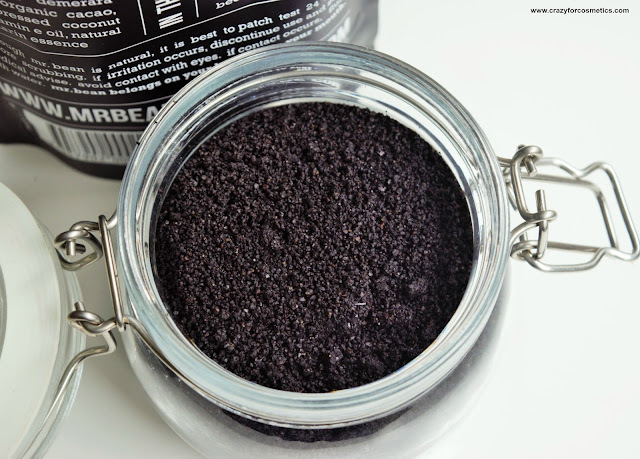 I usually first wash my skin with a body wash so that the dirt is out and the pores are exposed to the coffee scrub. Then I generously apply the coffee scrub on problem areas like arms and legs for about 10 minutes where I experience a lot of dry patches. I then wash off the scrub with a slow exfoliating motion under running water. I also have some cellulite on my thighs which I wish to get rid of. 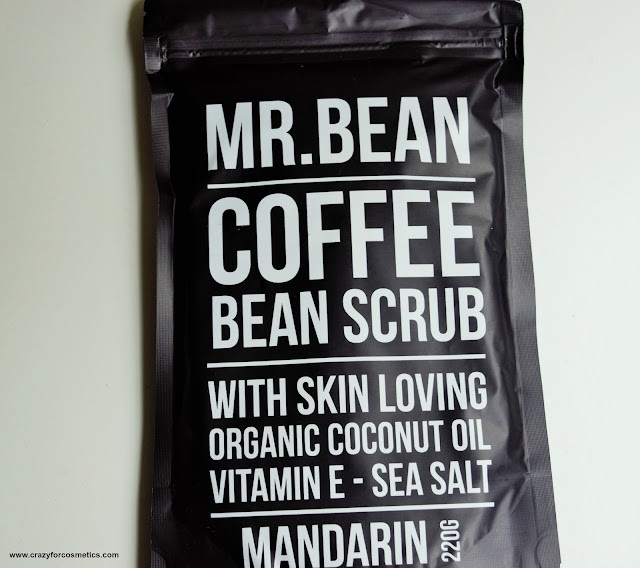 I have been using the Mr.Bean coffee scrub for the last 3 weeks on an on- off basis and have noticed a clear reduction in my dry patches on my arms and legs and I was pleasantly surprised. 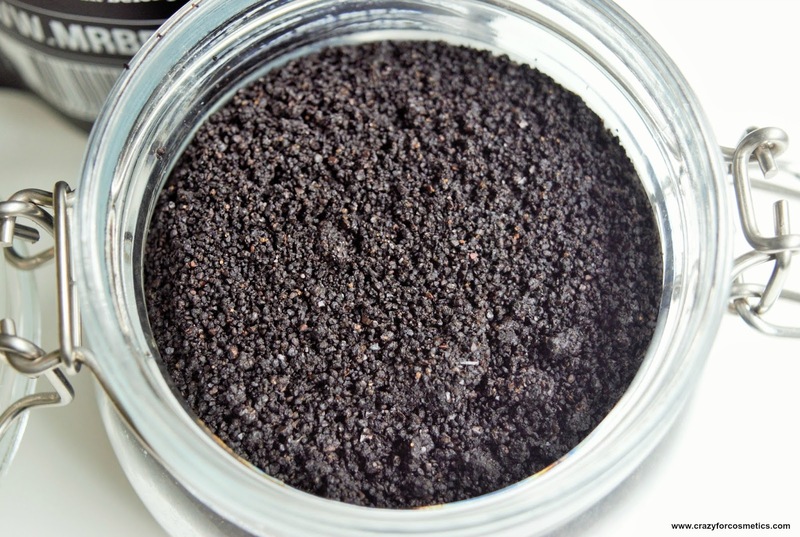 My skin is extremely dry irrespective of the weather and I have been battling dryness since childhood.My skin feels really soft and moisturized due to the presence of the oils in the scrub while the salt & sugar provide exfoliation effect. 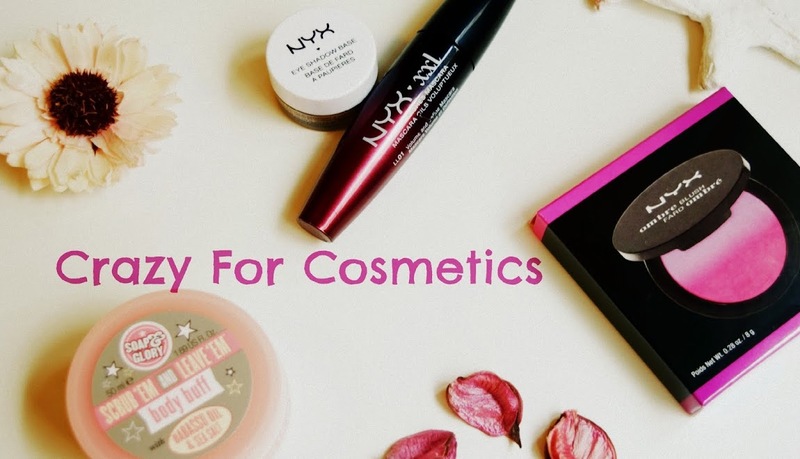 I have not noticed any reduction in cellulite and maybe it requires regular usage of the product. The only con I found is that the scrub tends to stain some of the areas depending on the force with which I scrub those areas and it requires me to wash again with a body wash in order to get rid of the stains. 1: Smells lovely of coffee and chocolate. 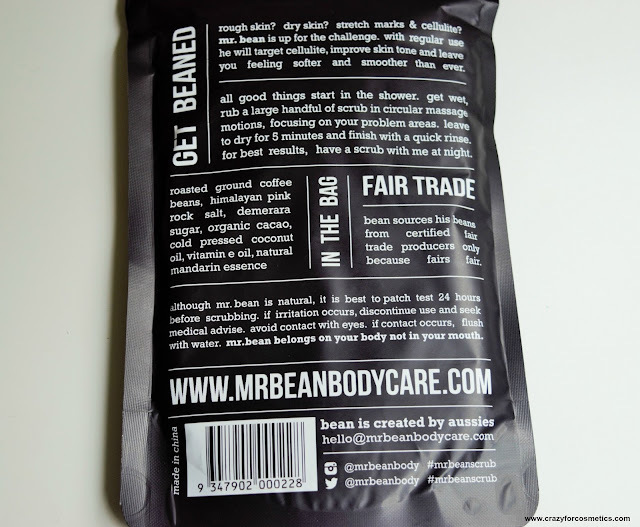 2: Helps to tighten skin and reduce dryness. 4: Coffee has anti-oxidant properties. 5: The coconut oil & Vit E oil provide enough moisturization to the skin. 1: Stains some parts of the skin based on the pressure applied.